Just as the 2015 cricket season is about to get underway, we were excited to welcome Essex County Cricket Club star Graham Napier to the ERO to discover his Essex roots. Graham’s family has a long history in Essex, going back at least to the 1700s. Several of his ancestors were from the Tilbury area, and include agricultural workers, gamekeepers and blacksmiths. Apparently blacksmiths were reputed to be so strong they could hit a cricket ball out of the ground! Graham discovered that one of his great-grandfathers, Edward Chatten was killed in the First World War in September 1918, just two months before the Armistice. He is now planning to visit Edward’s grave in France when he gets the opportunity. 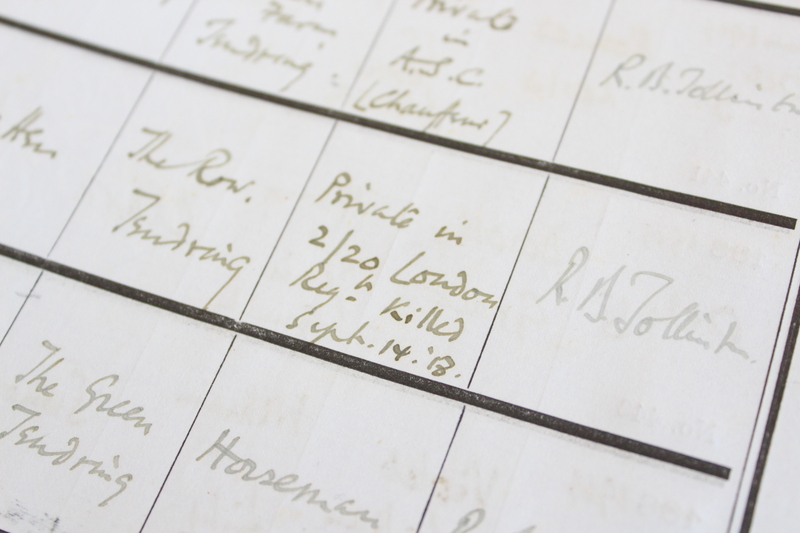 Just like his ancestors, Graham is in the archive himself, amongst the records deposited by Essex County Cricket Club. 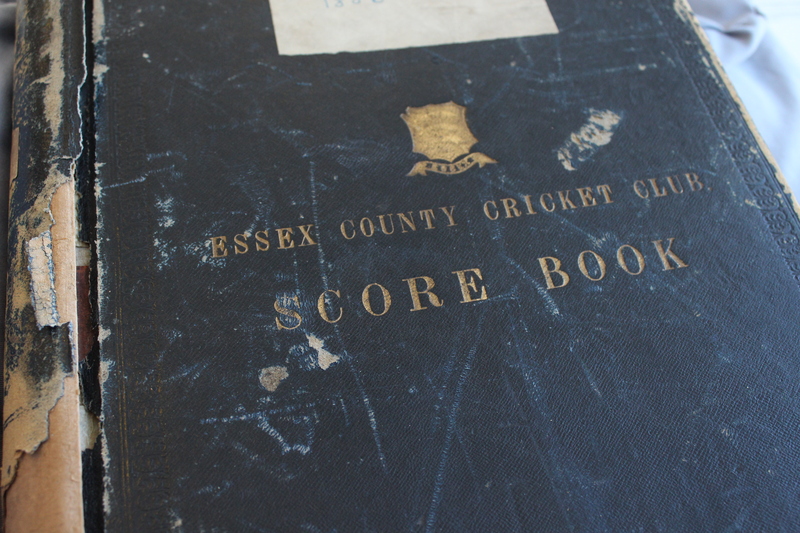 We dug out some scorebooks to show him, including one from 1997 which includes his very first professional games for Essex, and one from 2008 which records his famous innings in a Twenty20 cup match against Sussex when he scored 152 not out from 58 balls – the highest individual score in a T20 innings in England at the time, and the highest number of sixes in an individual T20 innings. We also shared with Graham some of the older records of Essex County Cricket Club which are looked after here dating back to the nineteenth century. 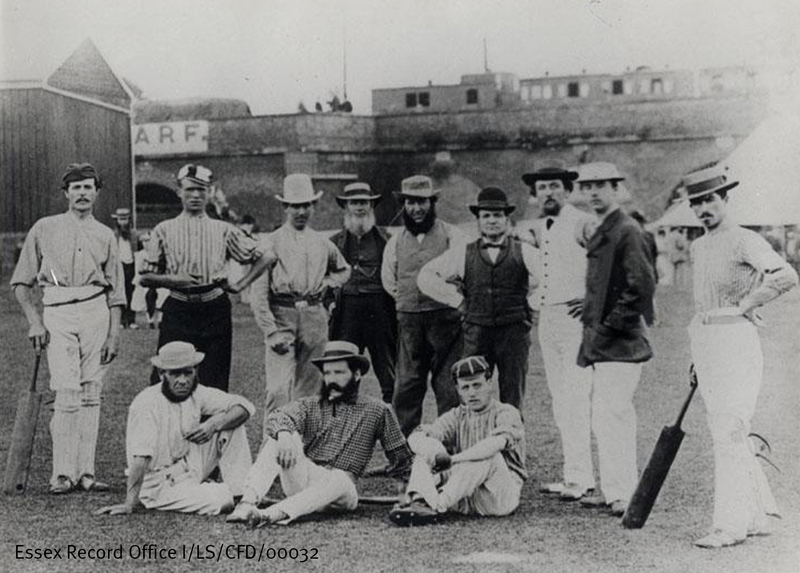 During our research we also came across this photo of a cricket team in Chelmsford c.1870, taken on Fair Field with the railway viaduct in the background. Cricketing style has changed somewhat since then! Graham said: ‘It’s safe to say I’m truly from Essex, going back several generations. What a great experience to come to the ERO and trace back my family history, it’s something I’d recommend more people do’. 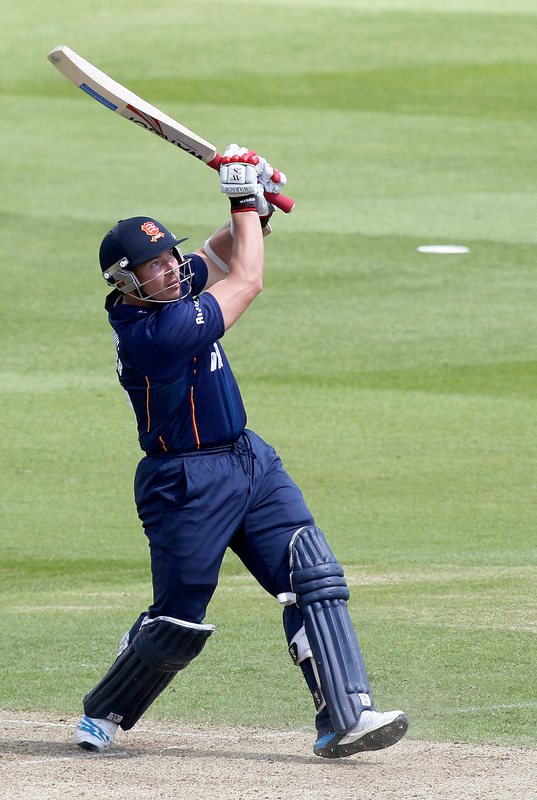 We wish Graham and the Essex team the very best of luck as the new season gets underway. 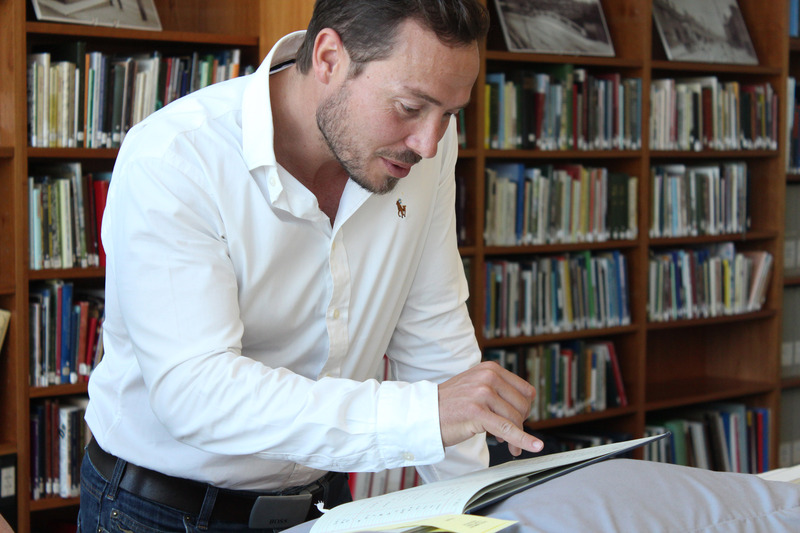 Ahead of his talk at ERO to launch his brand new book on Essex in the Second World War, we caught up with author Paul Rusiecki to find out more about his research. Join us for Paul’s talk at Dark Days and Dark Thoughts: Morale in Wartime Essex, 1940-41, on Saturday 9 May. See our events page for full details. How did you come to write Under Fire? It was a natural progression after writing The Impact of Catastrophe [Paul’s book on Essex during the First World War], as I wanted to compare and contrast the county’s experience of two world wars. I had already done a lot of work on Essex in the inter-war period, but I chose to ignore chronological conventions, leave a book on 1918-39 to another day, and jump forward to the Second World War. I was already very well acquainted with the resources that were available, having spent the best part of twenty years researching various aspects of the county’s twentieth century history. What sort of sources did you use to write your book? 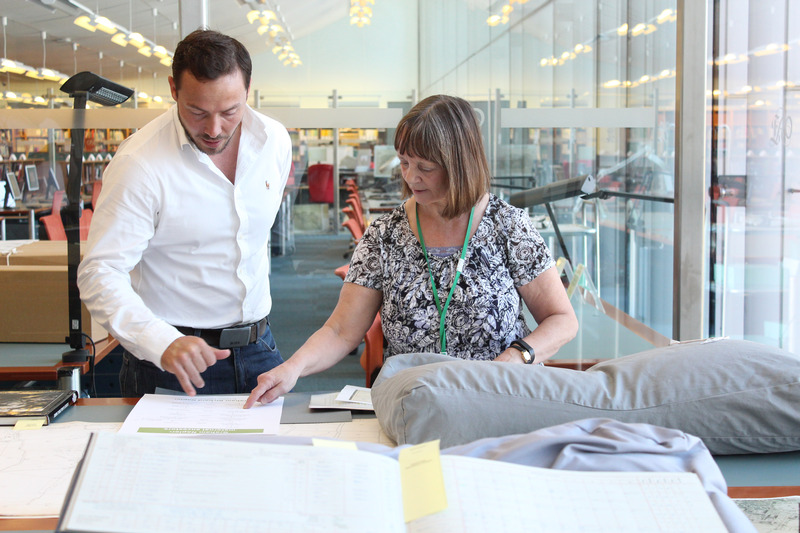 Secondary works are always an essential starting point so I spent a great deal of time in the libraries at Colchester, Chelmsford, Southend and Stratford. The Essex Record Office is a fantastic treasure trove of information on all aspects of the war and is matched only by the details which can be found in the county’s newspapers. Aided by my wife and son (both trained historians) I also visited the Imperial War Museum, the National Archives and the Mass Observation Archive at Sussex University, where we spent four days during a grim January. So far I have not made much use of the internet, as I prefer to use books rather than unauthenticated articles. Did anything surprise you during your research? I think that the honest answer must be no. In the last 40 years some historians have spent time trying to debunk the idea of Britain as a completely united nation engaged in total war and fighting for its survival, especially in 1940 and 1941, spurred on by the ‘Dunkirk spirit’ and the ‘Spirit of 1940’. In fact most people who lived through the war did not have this rosy view of things. I was not surprised to find a great deal of evidence of a positive, patriotic and courageous attitude in my researches, just as I also expected to find that people could be selfish, nervous, defeatist, or that they engaged in criminal activities. I expected to see all forms of human behavior being exhibited, and I certainly did! Are there any stories that you found during your research that have particularly stuck with you? Naturally the stories that stick in the mind often come from the time of the Blitz, or the attacks by V-1s and V-2s. How a direct hit on an Anderson shelter meant that a Dagenham warden had to collect body parts with a shovel and a sack. At Colchester when a laundry was hit, a dustbin lorry was controversially used to carry the bodies away. I also found out that when Severalls ‘Mental Hospital’ was bombed in 1942, many patients were killed. There is evidence that some residents of the town felt that the bomb could not have fallen in a better place as the people there were sub-normal. Then I discovered a note to the Essex War Agricultural Committee from a man who could not come to work because his ‘dear young daughter’, a patient, had been killed there. It brought a tear to my eyes, I must admit, and it also made me cross-reference my thoughts as to what was happening in Germany at this time. 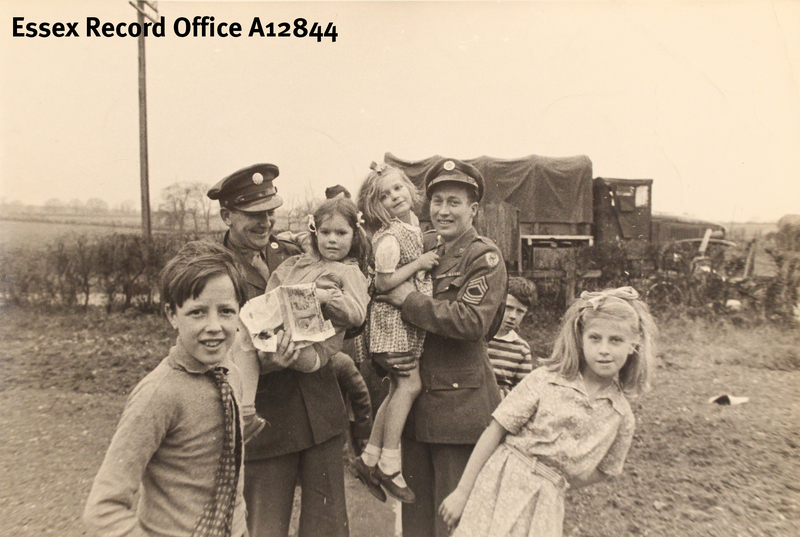 Do you have any family connections with the Second World War? My father was serving as ground crew in the Polish Air Force when it was practically obliterated in the first few days of the German blitzkrieg of 1939. He and others retreated from the advancing Germans and evaded capture by the Russian invaders. They made their way across Slovakia, a German protectorate, aided by local people, and then travelled through Rumania, including hanging on underneath trains. Having reached the coast they were picked up in secret by British agents who ferried them to Egypt, and from there to France. He had not been there long when the Germans invaded in 1940 and he was evacuated from a west coast French port. Once in England he joined the Free Polish Navy, and crewed Motor Torpedo Boats during the war. My mother’s family lived in south Yorkshire and remembered the severe bombing of Sheffield in December 1940, when the night sky to the south was lit up a deep red from the blazes. I wrote a book called The Plough and The Pick, about the two coal mining villages I grew up in Yorkshire. I’ve written many articles in various journals. My second book The Impact of Catastrophe: The People of Essex and the First World War, was published in 2008 by the Essex Record Office. I shall shortly be working on an occasional paper for the Essex Society of Archaeology and History, which will be a sort of guide to anyone interested in researching the impact of the German air war on Essex 1940-45. 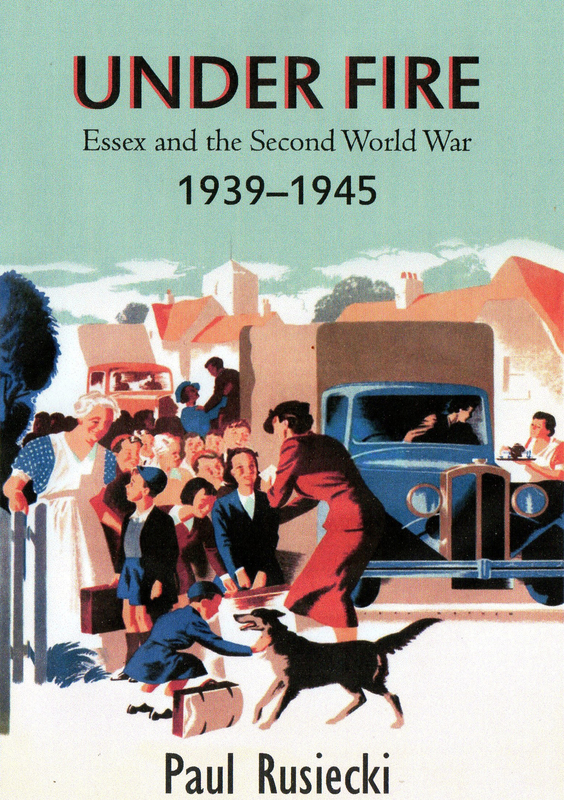 In the long–term I will be continuing to dig into Essex in the inter-war period, but I also hope to publish a history of the county from 1945 to about 1975. Are you a full-time author? Since I retired in 2009 I have more choice in when I can do my research, but as everyone who has ever retired says, how did I find time to fit in work?? Certainly as a retired teacher the huge never-ending commitment to preparation and marking has gone. So it is easier, but to be honest – full-time work, even leisure work – of any sort – never again! What is your connection with Essex? I married my wife who was born and raised in Colchester, so I have known the town and gradually more and more of the county since 1972. We returned here when our first child was born in 1978 and have lived here ever since. I did my PhD at Essex University and spent the last 4 years of my teaching career at Colchester County High School for Girls. I have been Programme Secretary of the Essex branch of the Historical Association since 2002, and that, and much of my research, takes me a lot to Chelmsford. Where is your favourite place in Essex? I love Blackpool so naturally I love to go to Clacton or Walton. Colchester’s Castle Park is a simply wonderful facility right in the heart of this busy town, it’s beautiful and quiet, if you avoid the children’s playground! And of course there’s the Essex Record Office. My second home! What advice would you give to someone thinking of writing a history book? Always check first to see what’s been written. No sense in re-inventing the wheel. This applies whether you have a very in-depth, highly focused project in mind, or a more general, wider study. Always take advice from people who have expertise and knowledge, never be afraid to ask for help. People are usually immensely generous with their time. Keep an open mind about where you might find resources – that way you might not overlook some obvious ones. Look at how other people write. Historical writing is first and foremost about communicating the past to people in simple, elegant and easily understood language. That doesn’t mean talking down to people. It means avoiding both jargon and writing which is so convoluted and obscure that it is hard to follow and understand. If you come across any history book like that, even by an eminent historian, or a ‘TV historian’, chuck it in the bin! 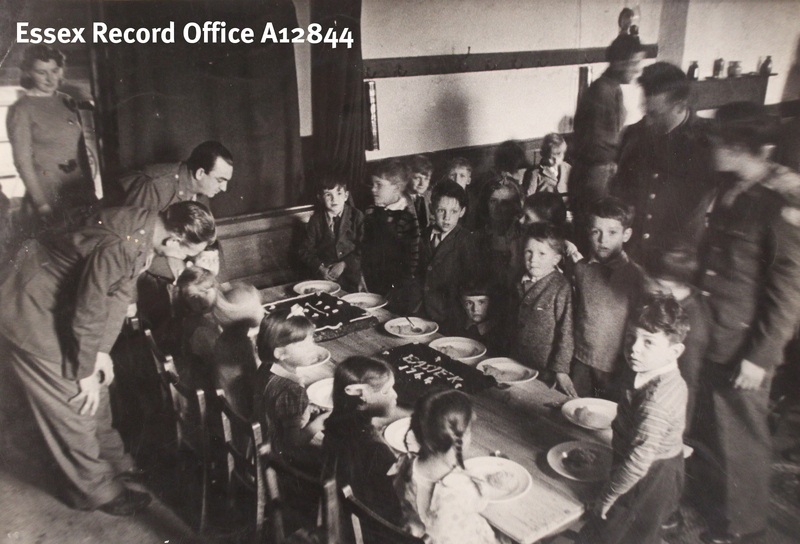 On Easter weekend we thought we would share these photographs of a children’s tea party held in Lindsell, a small village between Great Dunmow and Thaxted, at Easter 1944. 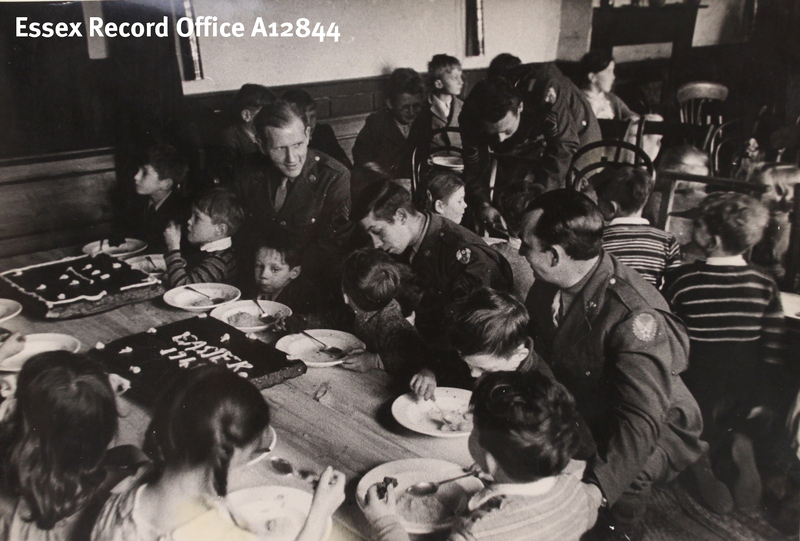 The party was hosted by members of the 9th US Air Force stationed at Wethersfield, and the guests were a mixture of local children and orphaned or evacuated children who were living at New Barn, one of the War Nurseries established by Anna Freud. 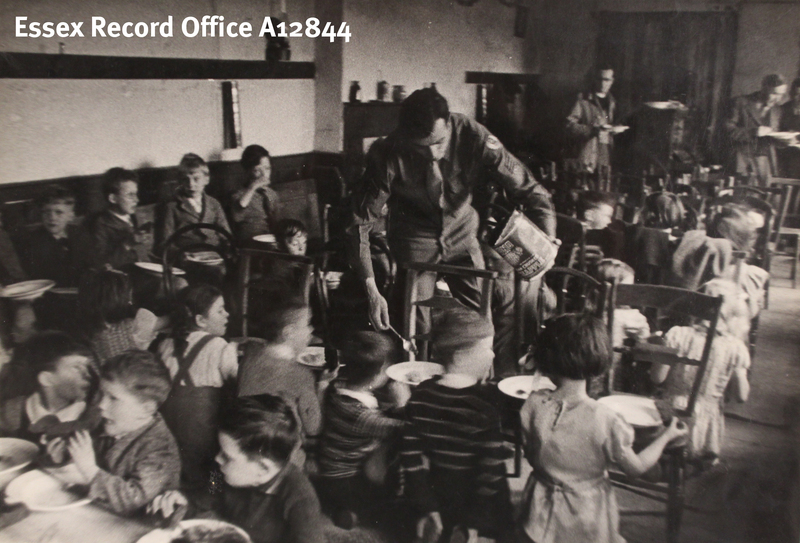 The US airmen provided treats such as tinned fruit that would, of course, have been a rarity in the war years, and took the children for a ride in one of their trucks. 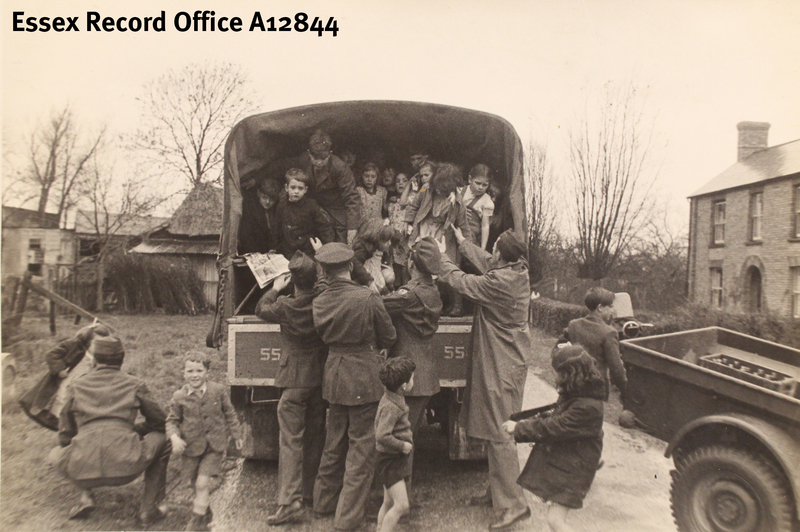 If you would like to find out more about Essex during the Second World War, join us on Saturday 9 March for Dark Days and Dark Thoughts: Morale in Wartime Essex, 1940-41, the launch of Paul Rusiecki’s new book, Under Fire: Essex at the Second World War. Full details can be found on our events page. Sarah-Joy Maddeaux, Project Officer for You Are Hear: sound and a sense of place takes a step back to muse on what heritage is all about. 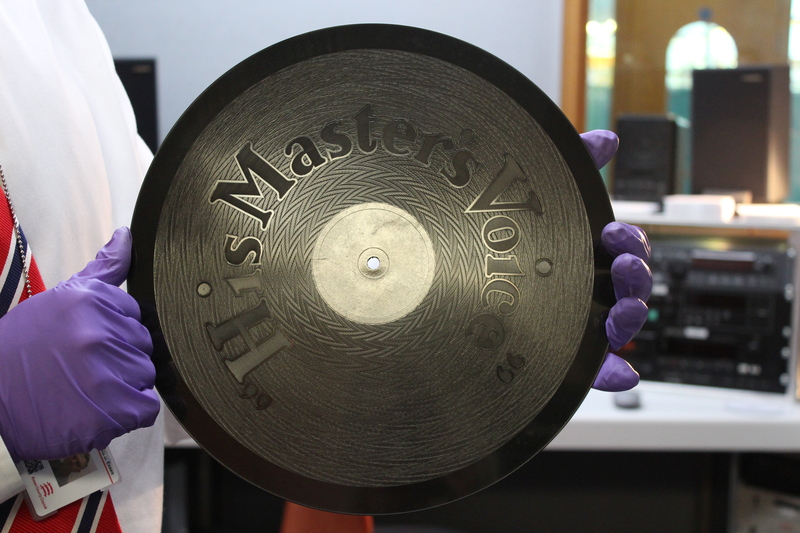 The Essex Sound and Video Archive has been granted £5000 from the Essex Heritage Trust to contribute towards our project, You Are Hear: sound and a sense of place – subject to receiving the rest of the funding. The grant has been awarded under the Trust’s Restoration / Conservation fund, as we intend to put the money towards purchasing equipment to digitise some of our sound and video recordings. Through digitisation, we will preserve these irreplaceable recordings, which are at risk of deterioration or loss due to obsolescent formats. Digitisation is also the first step towards making them more easily available for you to enjoy, from the comfort of your own homes. The Trust’s approval demonstrates the trustees’ broad appreciation for the county’s assets, not limiting themselves to more obvious historical treasures such as buildings and gardens. Rather, they have recognised that the sound and video recordings we hold are equally covered by their mission statement ‘to help safeguard or preserve for the benefit of the public such land, buildings, objects, or records that may be illustrative of, or significant to, the history of the County or which enhance an understanding of the characteristics and traditions of the County’. The bulk of the funding for the You Are Hear project will come from the Heritage Lottery Fund, if we are successful with our second-round Your Heritage grant application. Can you spot the common denominator? The assets worthy of preservation and the motivations of the financiers are all linked to heritage. So what is ‘heritage’? What qualifies as forming part of our heritage? Is it only to do with ‘old stuff’? To me, heritage is about the foundation of a shared culture that demonstrates who we are, based on a common history, geography, or society. It includes historical treasures, certainly, as evidence of our past. But I think it can encompass much more than that. We should also consider what should be captured from today’s culture, which will form part of the next generation’s heritage. This is particularly important with sound and video archives, where careful planning is necessary in order to preserve recordings that might otherwise be lost. You Are Hear aims to digitise many of our recordings and make them available, but also to actively encourage people to develop their sense of heritage within the county of Essex: building a sense of place based on the sounds and moving images that represent the county. 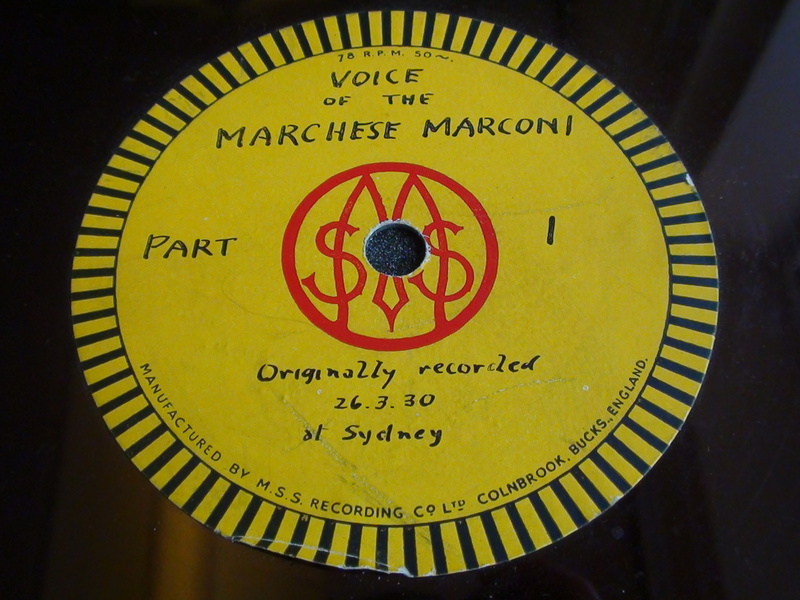 We hold recordings related to our industrial past, such as a speech made by Marchese Guglielmo Marconi, the inventor of radio, who built the factory in Chelmsford that enables the city to proudly proclaim itself as ‘the birthplace of radio’ on the signs as you enter its boundaries (SA 27/9/1). We have an oral history collection about the development of Harlow as a New Town, revealing the planning that went into it, and what life was actually like for the earliest residents (SA 22). We have film footage of Morris dancers from local bands at festivals, on tour, and even at a wedding (VA 30). We have recordings of mayor-making ceremonies in Chelmsford (SA 7/571/1), Colchester (SA 8/5/12/1), and Southend (SA 20/1/5/1), capturing the ritual and dignity of local government. We have the commentary from the famous Colchester United victory over Leeds United in their fifth-round FA Cup match in 1971, a permanent reminder of one moment of glory in our county’s sporting heritage (SA 27/12/1). These recordings all demonstrate different aspects of our shared past, evoking pride and attachment to the county. But we also have a copy of Blur’s 1995 album ‘The Great Escape’ (Acc. SA291). 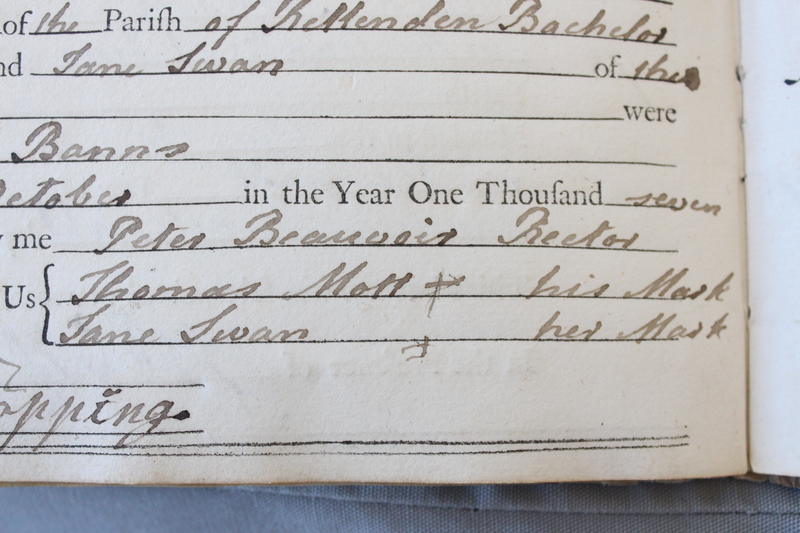 We have a recording of a Tilbury-Juxta-Clare parish meeting (SA 24/1001/1). We have a recording of pedestrian crossing beeps, the escalator in the BHS store, and general noise of the Southend high street in 2008 (Acc. SA501). Do these also qualify as ‘heritage’? Why shouldn’t they? They are part of the county’s diverse and continually evolving culture. They capture the everyday – those moments that together build a realistic picture of what it is like to live in Essex. In a hundred years, what will listeners make of Blur’s music? Or the noise of an urban landscape? Historians face the challenge of trying to uncover what life was like in a former era. We have the opportunity now to give future historians a helping hand by preserving as much of our current heritage as possible. We can also help to validate the diverse culture of today’s inhabitants by recognising it as worthy of long-term preservation. Has this made you think of some of your own sound or video recordings, which might be of interest to people today or in the future? Please do let us know: we would be delighted to help make your personal heritage part of the county’s shared culture. You can also get in touch with us for more information about any of the recordings mentioned.